Customer case studies, announcements, website content, social media posts, presentations, and more — when done right, they make your audience sit up and take notice, act, evangelize, and invest in your brand. Content is power! Publishing direct to audiences, in the long form afforded by a blog. What's not to love? 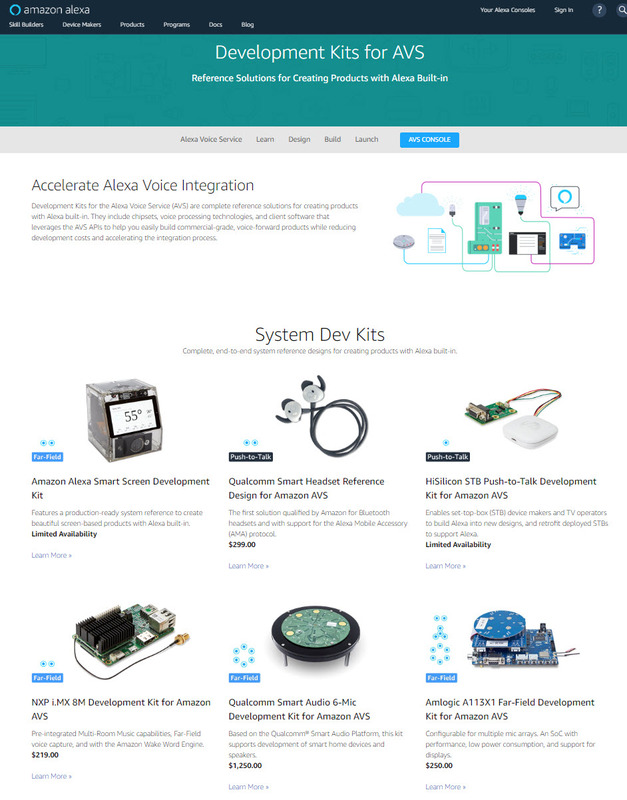 As part of my marketing role in the Alexa Voice Service org at Amazon, I often pen articles that appear on the Developer Blog, focusing on new solutions launched. At Marvell, I managed a very dynamic blog for Kinoma, with contributors ranging from every level on a team (including me), to strategic partners. The external-facing blog was so successful that my team was often tapped to write for the blog of our global, publicly-traded company. Crowdfunding is a great way to validate a product idea, gain very early adopters, commit to a production schedule, and —yes— even raise funds. It's also a fantastic incentive to develop so much of the supporting communications for a product, including engaging video, polished photography, and inspiring copy. The Kinoma team at Marvell ran the first ever Indiegogo campaign from a large, established publicly traded company. It was an around the clock endeavor, with frequent updates posted to the campaign page, branded emails sent to supporters, and stretch goals and new perks added to the mix as things heated up. We were also 523% funded. 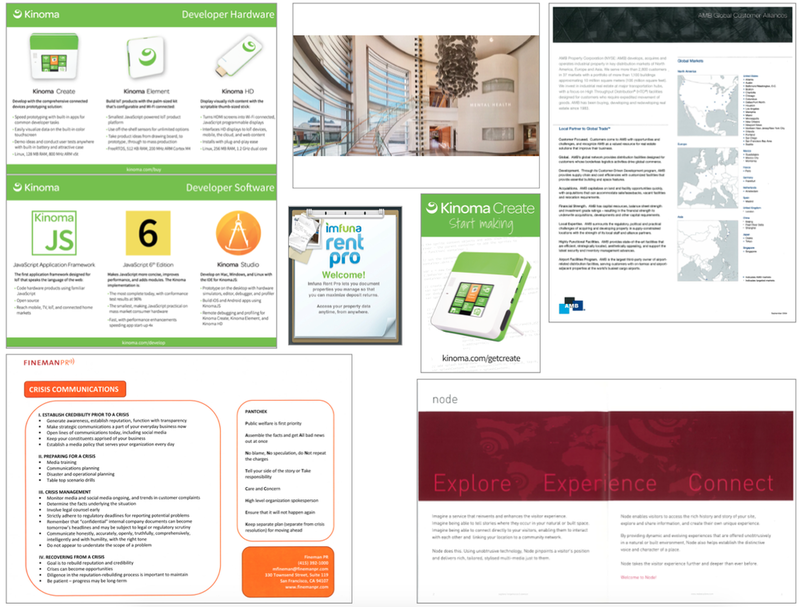 When Kinoma Create came to market, we were able to launch it with customers, example developer projects, and press coverage in place. Social Media is a visceral and immediate way to connect with important audiences. It's a way to listen to and converse with people who take the time to interact with your brand (not to be taken lightly). Through propelling participation on social media, relentless monitoring, and fearless interaction, I've been able to build relationships. identify leads, and ensure successful customer/developer relations. Websites are available 24/7, everywhere, by everyone. They're expected to be dynamic, to brand, and always reflect the latest and greatest. And, websites need to be easy to navigate, logical in function, and help your visitor find exactly what they want — fast. Not a small task! Video is an ideal means of longer-form educational content. It’s engaging, and helps with comprehension and information retention. At Kinoma, video was woven into the communications plans as a go-to tactic. We expedited the process of generating video content by establishing on-camera best-practices, and bumpers for post-production. Public speaking. So much opportunity to enthrall an audience; so much potential to make them run screaming. It should be about *them. * Focus on what an audience wants to get out of an event (their time is valuable), their level of savvy, and what the editorial direction of the event intends, and you'll be ahead of the majority of speakers. Yes practice. Yes perfect the slide deck. Yes know the room setup. Yes be aware of the agenda placement. Collateral is the bridge between a conversation and the productive followup to that initial greeting. It should spark recall, be worth holding onto, and instigate the action of a "We met at" email or call. Collateral can lead to the beginning of the real dialogue.